Sam O.B. - Positive Noise. Vinyl LP, CD. Bleep. 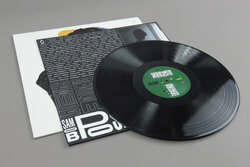 Having released some of the label's greatest singles to date, collaborated with Kelela and co-founded the Astro Nautico imprint, the artist who we have formerly known as Obey City debuts under his newly crowned Sam O.B. 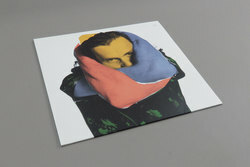 alias with his debut album Positive Noise for LuckyMe. 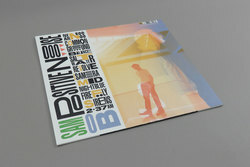 Having scored big with the Champagne and Merlot sipping sounds of his previous two LuckyMe releases, Sam 'Obey City' O.B. 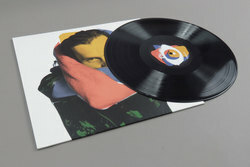 's debut album arrives with a big splash of diamond encrusted disco heavy confidence that's best described by the label as "A coolness that isn’t cold". 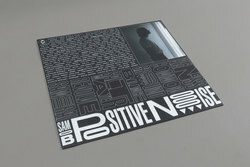 Positive Noise dips its toes into the sounds that stem from Sam's vast record collection, most notably his 70's and 80's disco and funk wax. This influence has been expertly rolled into 10 delicately produced smooth jams that are perfectly primed for late night drives and sessions chilling on the deck.